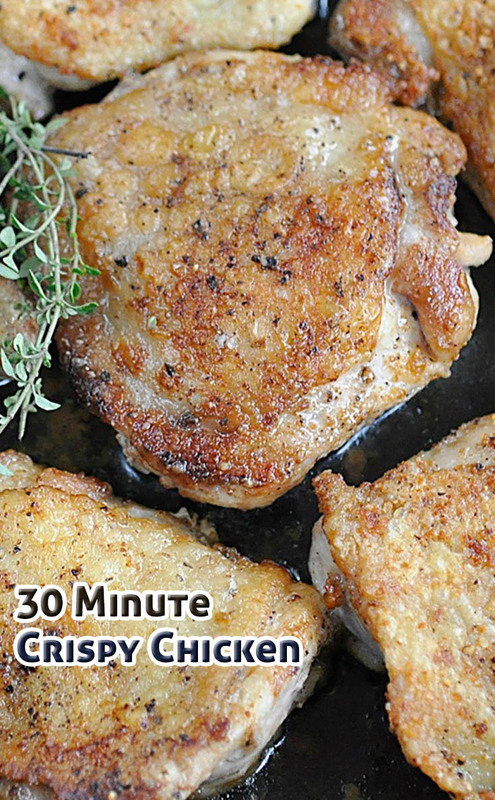 Using a paper towel, dry off your chicken thighs. Heat up butter in cast iron pan over high heat. Place chicken thighs into the pan skin side down and reduce heat to medium high. Cook for about 10 minutes until the skin is golden brown and crispy. Rotate the thighs halfway through this cooking time 180 degrees. Flip over the thighs and cook for another 8-10 minutes skin side up or until meat is cooked through. Remove from heat and place on a paper towel to remove some of the grease. Enjoy!